we come very highly recommended, patient and friendly instructors, tuition cars fitted with cctv. we do not offer cheap gimmicks to tempt you into booking lessons then increase the lesson price's we offer professional tuition at realistic price's, the price you see is the price you pay, dont be fooled by cheap gimmicks ask yourself why these instructors offer these gimmicks if its cheap its cheap for a reason, we do not offer Pass in a Week course's as it will take longer than a week to become a safe and confident driver. We Pride ourselfs on our Pupils Gaining success and gaining a Safe standard of Driving, one to one tuition, no car sharing with other pupils. 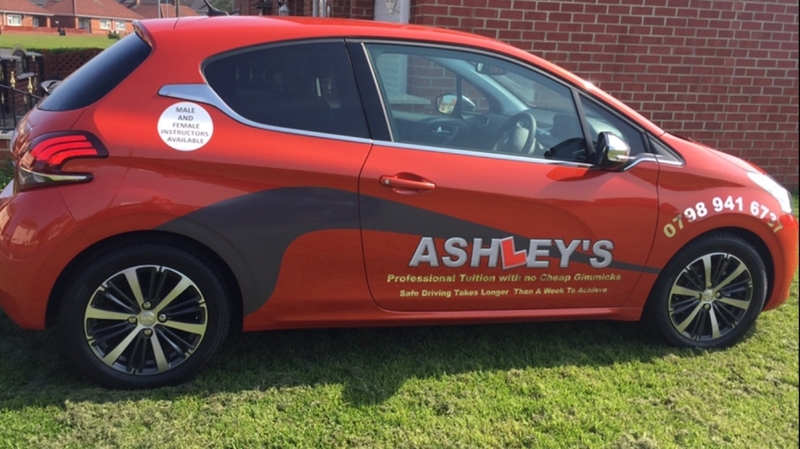 We are not a so called big company who promises to get you passed your Test in a Week, or any other cheap gimmicks to trick you into booking lessons, at Ashley's we Focus on our Pupils Gaining a Safe standard of driving using up to date training methods as recommended by the Driver and Vehicle Standard Agency [DVSA], We will help you develop your driving skills and become a safe and confident driver with Professional Tuition, this training will be structured over a period of time to fit in with your social and work commitments.